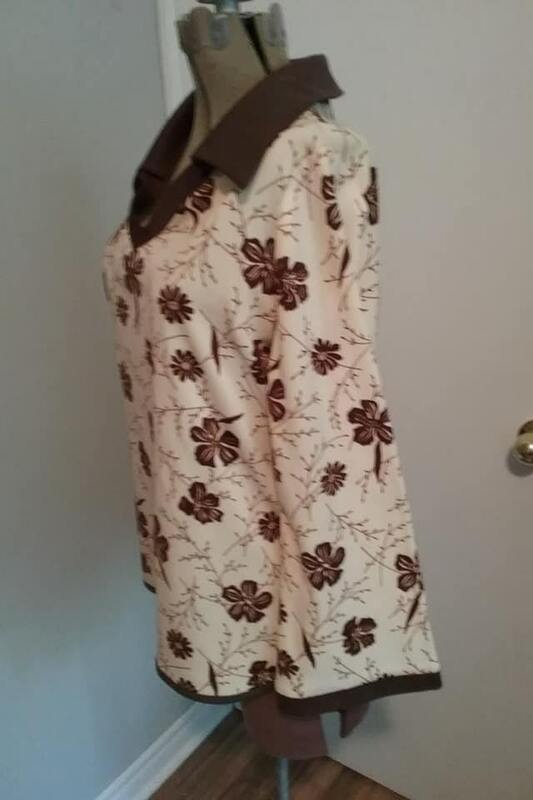 Vintage 1970's Women's Tunic, bell, sleeve, hippie style. 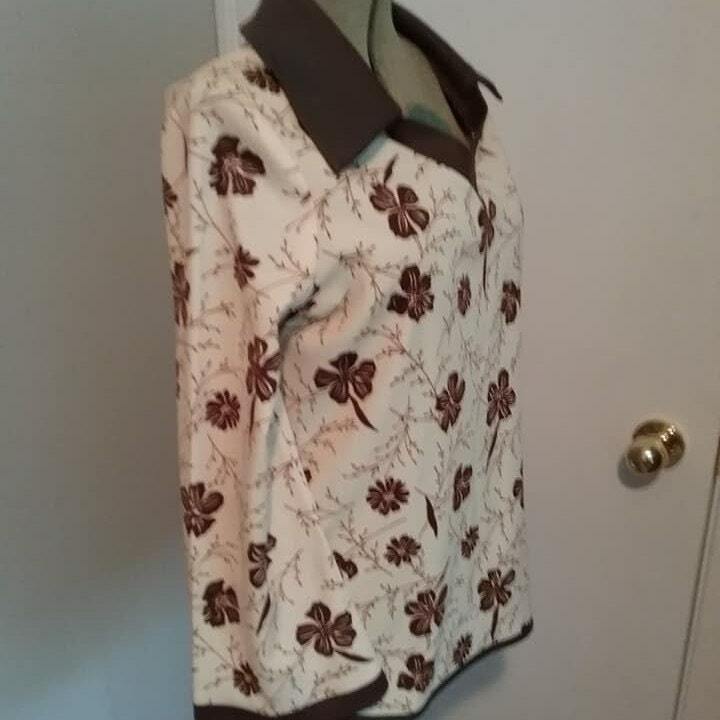 Beige with brown floral pattern, and is a polyester blend. 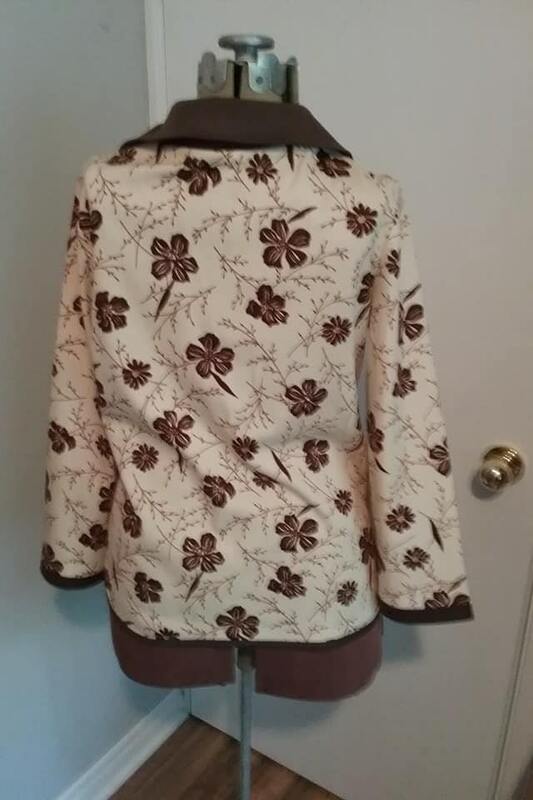 The tag is faded, but appears to be a M/L size (larger end of medium). 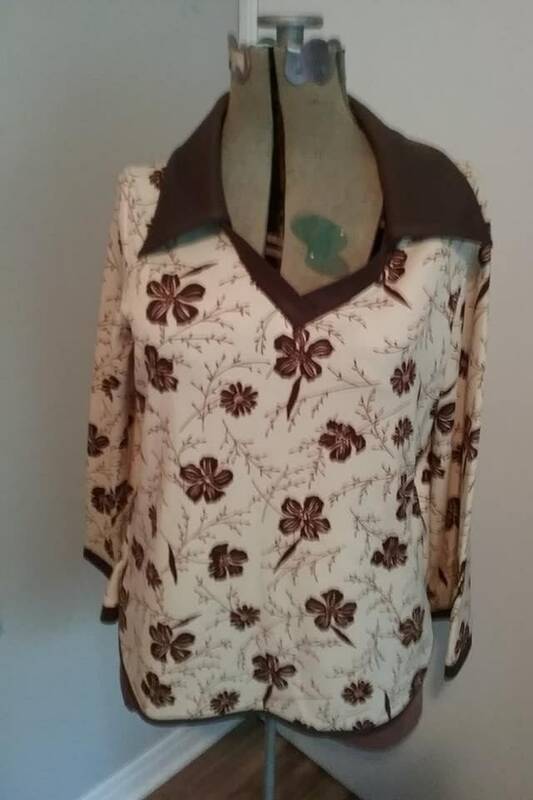 In very good vintage condition, it may have had a belt at one time. 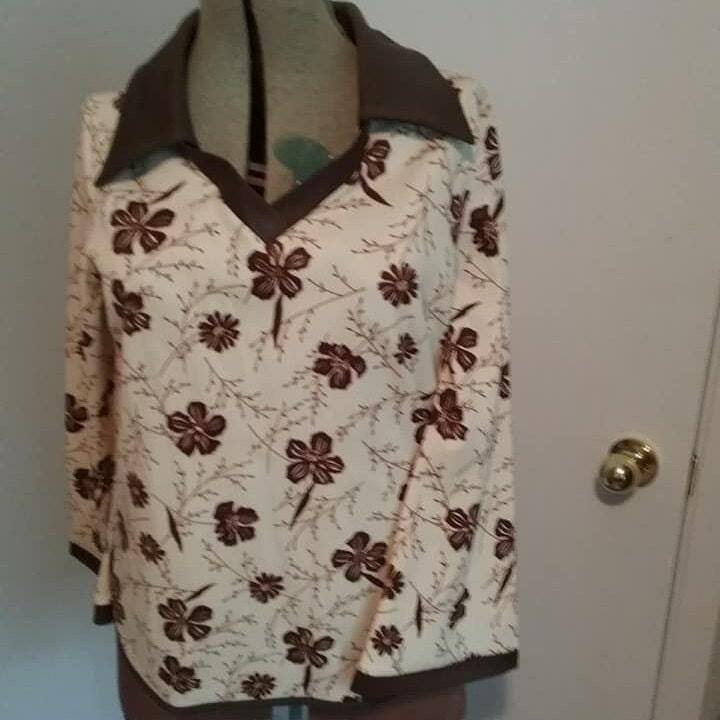 Large collar around a V-neck and trimmed collar, cuffs and hem in brown. 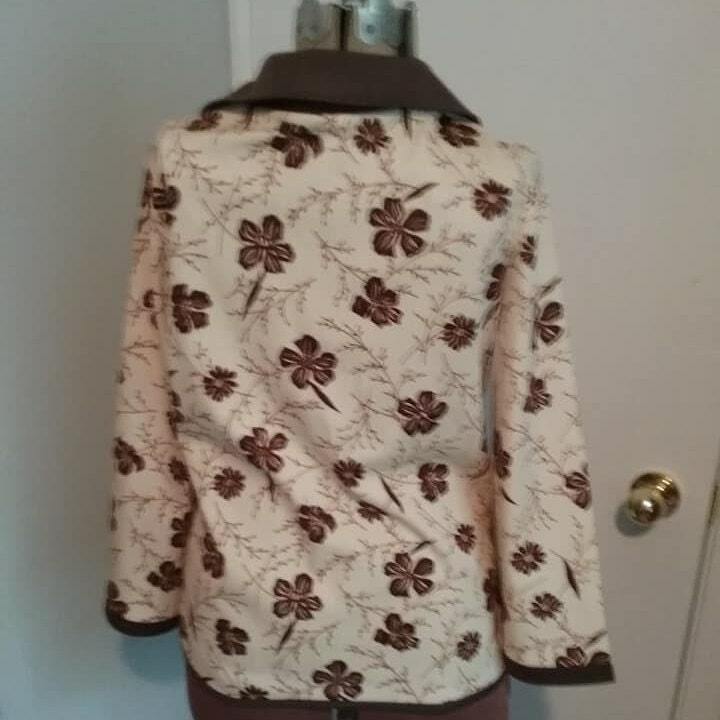 Measurements lying flat are approx : chest - 20.5 across and 41" around, shoulders - 16.5" cross, collar - 4" wide, sleeve - 22.5" long, top of shoulder to hem - 25.5". 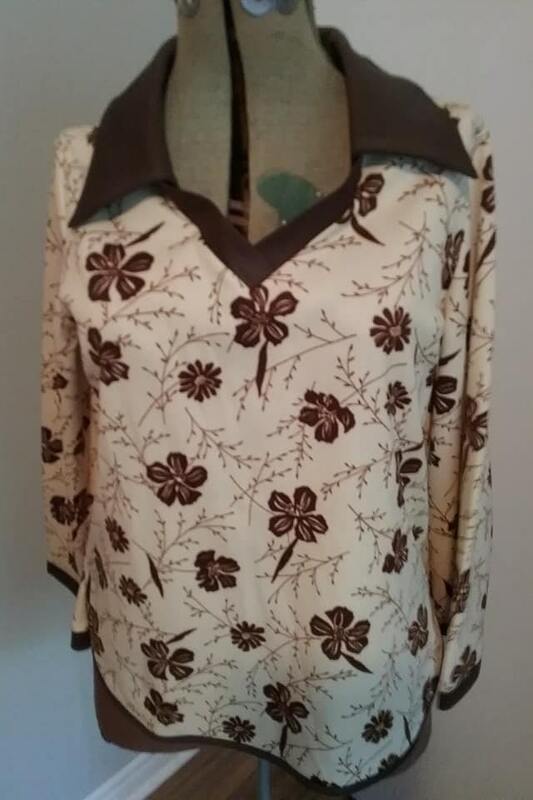 Dig this groovy disco hippy tunic....you will definitely look hip! *Buy vintage for Christmas....they will adore it!